Jeff is an attorney practicing primarily in the areas of patent prosecution, patent litigation, and intellectual property counseling. 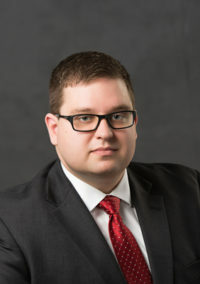 He has experience in many aspects of patent prosecution, including technology areas such as mechanical and electromechanical devices including consumer household appliances, lighting, aerospace, transportation systems, and in the chemical arts. Prior to joining McCracken & Gillen, Jeff worked as Legal Counsel for a global consumer appliances company where he restructured and maintained its extensive trademark and patent portfolio in addition to providing legal counseling on day-to-day operations. Jeff received his B.A. in Chemistry (with Honor) from Michigan State University, where he was a member of the Honors College, Academic Scholars Program, and Phi Kappa Phi Honor Society. Jeff studied law at the University of Illinois at Urbana-Champaign. 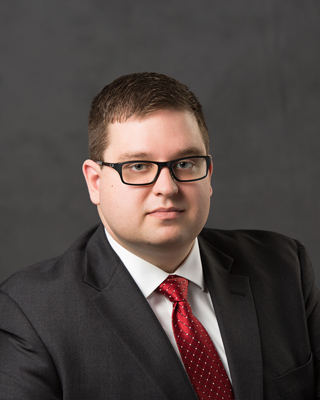 During law school, Jeff served as an Administrative Editor for the University of Illinois Journal of Law, Technology & Policy, and worked for a global healthcare company as a competitive intelligence intern. In addition, Jeff is pursuing a Masters Program in Computer Science at the University of Chicago.